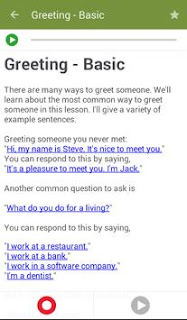 Talk English Standard is the official Free TalkEnglish.com Android App. 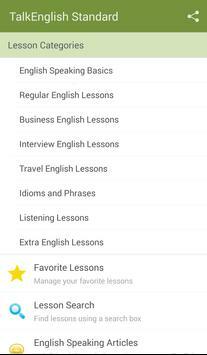 There are over 900 lessons and 8,000 audio files to help you learn how to speak English fluently. 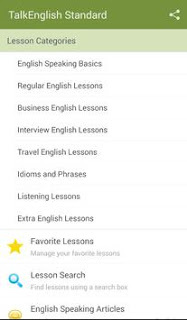 Most lessons contain clickable sentences that you can click to listen to a native English speaker say that sentence. 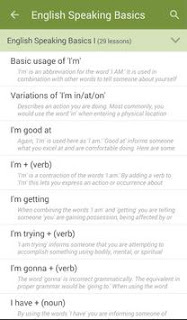 Each lesson page also has a self record tool. You can record your own voice reading that sentence and compare it with the audio file from the native English speaker. - Hundreds of real life scenarios such as movies, sports, shopping, college life, pets, working, and many more.